A few months ago, I got one of the nicest invitations I've ever received as a blogger. It was an invitation to dine at Kokoro Ramenya, a Japanese restaurant that had opened a few months ago along Roxas Boulevard. I say it was one of the nicest invitations to eat at because the invitation was basically, "Go with a friend with a friend at your convenience, and order whatever you want". Who can say no to that, right? In return, all they ask for is an objective blog post.. If I didn't like the food, it's ok to say it, because the management of Kokoro Ramenya would take it simply as "Constructive Criticism". Here's the thing.. There wasn't really anything to criticize because the food is fantastic. 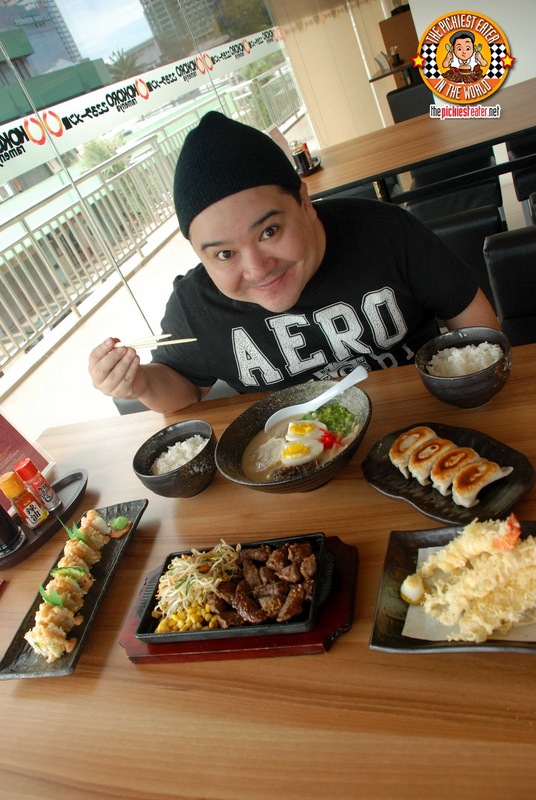 Chef and Ramen connoisseur, Susumo Murata spearheads Kokoro Ramenya's assault on the Filipino's taste buds, with his mastery of authentic Japanese dishes. Chef Murata shows Pinoys that you can actually serve authentic, and delicious Ramen in the Philippines, without having to act like a total Jackass in the process (who knew!?)!! 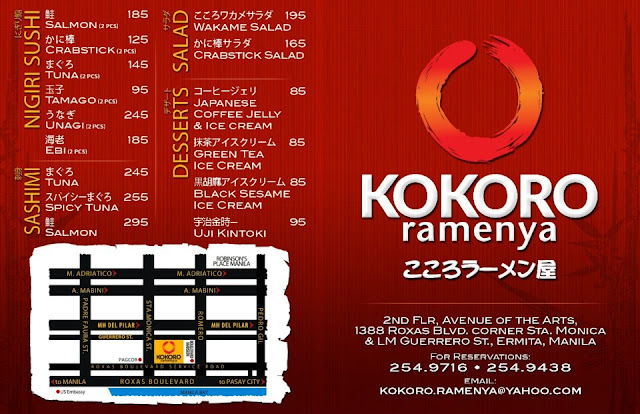 Kokoro Ramenya is located at the Second Floor of the Avenue of the Arts Building along Roxas Boulevard. The best landmark would be.. its right across the U.S. Embassy. The restaurant area is gorgeous. 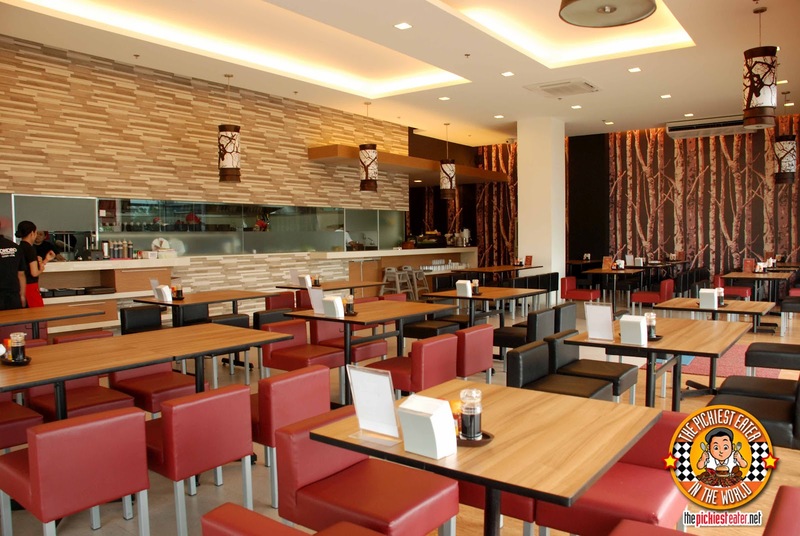 Huge picture windows fills up the simple wood and stone Zen inspired interiors. Good spacing between tables ensures that the place won't get too cramped, even when the place is packed.. and believe me, it can fill up during meal hours, especially by Japanese nationals looking for a meal close to home. 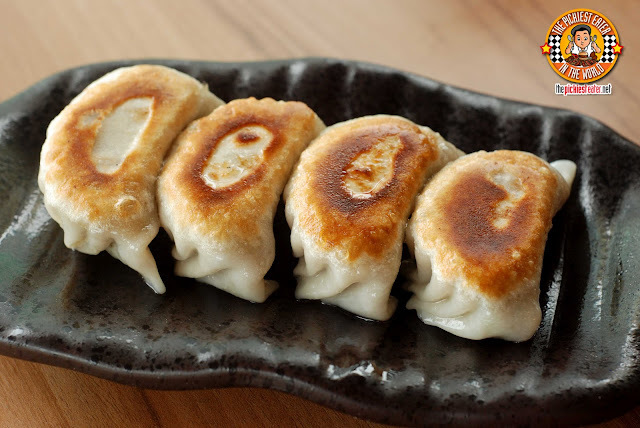 I'm honestly not too big on Japanese food, but when I do dine on food from the land of the rising sun, Gyoza (P155) is always my default appetizer. This had a delicious, meaty filling, with one side pan fried just right, giving it a nice, light crunch. I noticed the pan frying was a little bit uneven, with two pieces being fried to a darker hue than two others. They were still good though, nonetheless. Rina loves California Maki, so she was quite intrigued by the Kokoro Ramenya's "Crispy California Maki" (P195). Personally I don't eat the stuff.. but I gave this a try and.. I still don't eat the stuff. It was a California Maki.. Crabstick, Cucumber and Mango with rice, and rolled inside out with a strip of Nori. 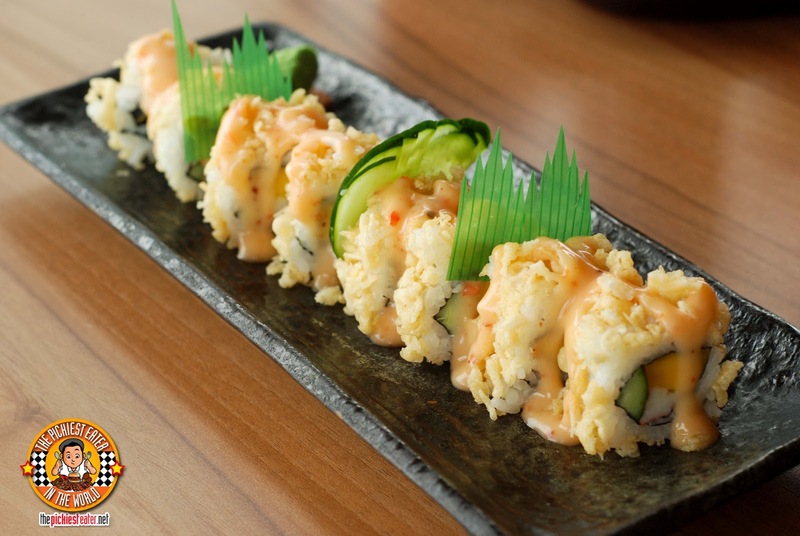 The roll is then drizzled with what tasted a it like Thousand Island sauce, and then it was sprinkled with the fried Japanese breadcrumbs, giving it the "crunch". It's honestly the taste of the seaweed that screws with my taste buds, but Rina really enjoyed it. If Rina sees the words "Ebi Tempura" in a restaurant menu, it WILL be ordered. It doesn't matter if we're at a Japanese restaurant or at Dampa, it's one of her favorite dishes ever. 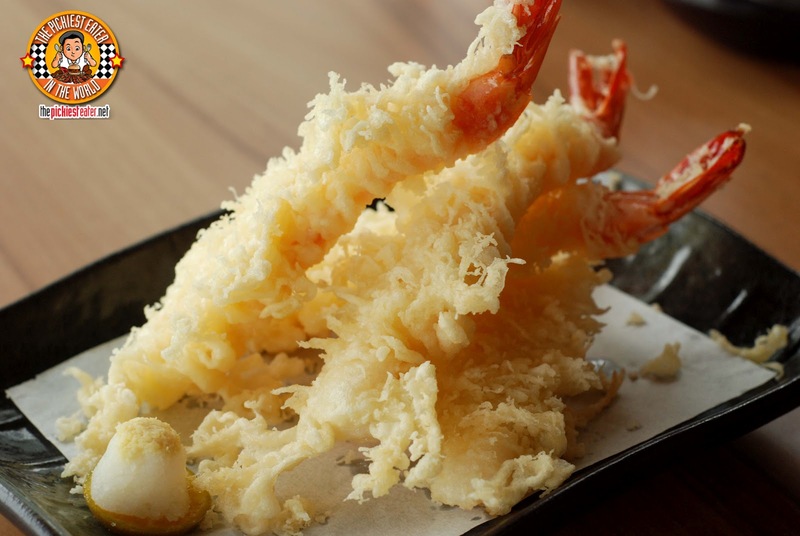 The prawns were coated in Japanese bread crumbs coating, which didn't make it too heavy. Taste-wise, there wasn't much you could fault about it, but my only comment was that I've had plumper Ebi Tempura in other Japanese restaurants before. As good as the Gyoza was, it wasn't nearly enough to satisfy the carnivore in me, so we ordered the Beef Teppanyaki (P445). The sound of the beef sizzling on the hot plate alone was enough to make the Top Ten of the Billboard countdown (A lot better than some of the music on the radio nowadays, I swear). And the aroma of the beef was simply mouthwatering. I went up close and took a whiff.. I swear, I didn't want to exhale and let the smell leave my lungs. The beef itself was juicy and tender, and the small slab of butter that they placed on the beef to help add to the sizzle gave the meat a delicate creaminess that enhanced the flavor. Watch my super short video of the Beef Teppanyaki here! 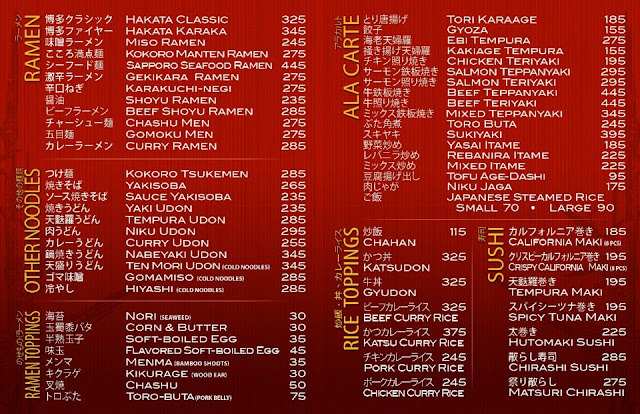 During the time of this visit, the controversial Ramen Mecca, "Ukokkei Ramen Ron" had their place shut down by the Makati City Government for reasons still unclear (I'm sure you've all heard the rumours). I've never been too big on Ramen, but Ukokkei's really impressed me. 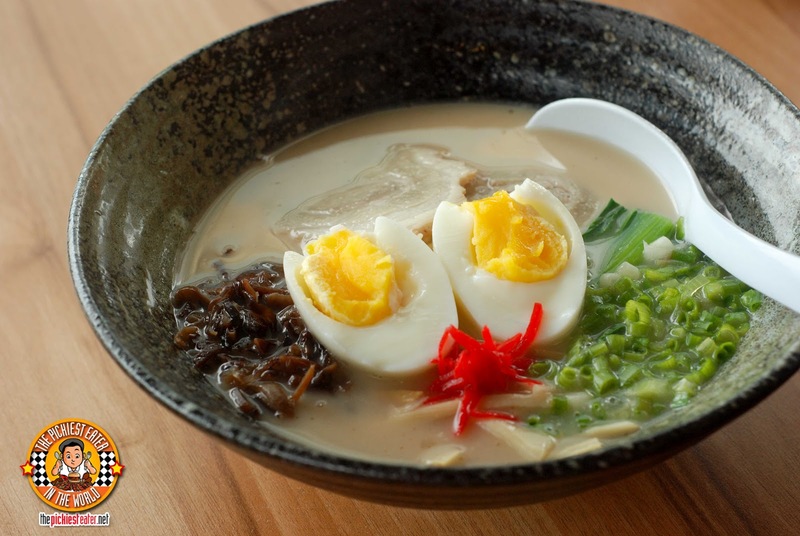 How Kokoro Ramenya's Hakata Ramen would fair against The Miso Char Shiu of Ukokkei.. It turns out, pretty darn well. Let me start with the broth. The color is milkier than the normal Ramen I've tried.. and it might have something to do with it being much creamier too. The soup is incredibly flavorful.. even if you get pure soup, without any of the other ingredients, you can taste the carousel of ingredients with every sip. The noodles were firm, and had a wonderful bounce in them, while the slice of Toro-Buta.. or "Pork Belly" to us English speakers, was the perfect way to add protein to the dish. My only regret was not adding butter and corn, although I don't think it was totally necessary because the dish stood on its own even without it. 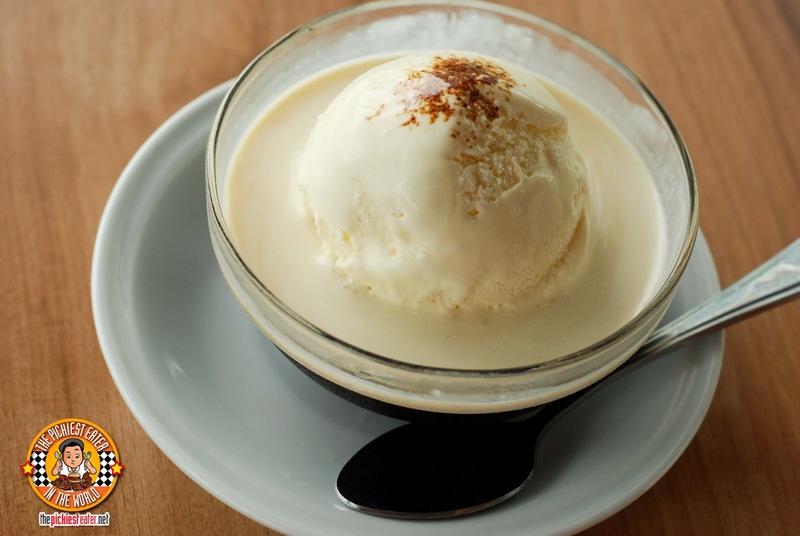 For dessert, Rina ordered their Coffee Jelly with Ice Cream. This was pretty good, and considering I don't drink coffee at all, I ate a substantial amount. The creaminess of the Vanilla ice cream was a good counter to the bitterness of the coffee. 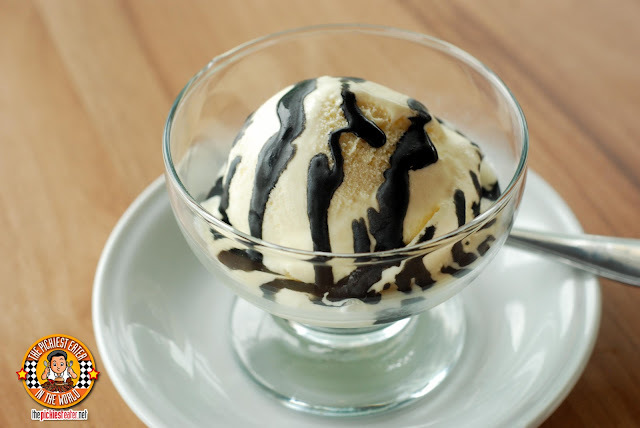 For me, I ordered the Black Sesame Ice Cream, which proved to be a great palate cleanser. It was deliciously rich, and very creamy, and filled with simple flavors of black sesame. It was nice being able to walk into a Ramen place and not having to worry about someone cursing at you in a foreign language for breaking one of his petty rules. It also helped that the food they served, was actually very delicious. Thank you so much to Mr. Edward Go for the kind invitation! Hope to meet you in person soon! Let me tell you this now.. if you're interested in being a blogger for the free stuff.. Don't. It honestly took me awhile before I started accepting invites to places to eat.. (Around a little after I got Rain's hospital bill to be more specific). The perks of being a blogger are nice, such as opportunities to try various cuisines, and get to meet some very nice restaurant owners. However it is extremely important to remember that being invited to eat at a restaurant by a gracious owner, is hardly any different being invited to someone's home. Think about it this way. 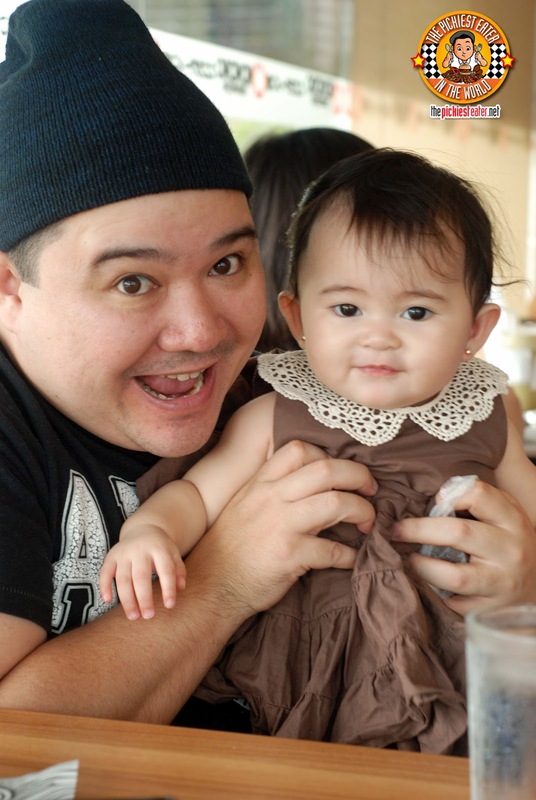 I was allowed a plus one, and Rina wanted to bring Baby Rain. I easily could have brought Rain's yaya with us, ordered her some rice and told her to get from whatever we ordered.. But the invite said an additional one person only, and I didn't want to abuse that. When you dine at someone's home, you don't kick your feet up the table, bark out orders to the cook requesting something they're not prepared to serve. Just the same way, when a blogger goes to a restaurant and is told to feel free to order whatever they want, he or she mustn't look immediately for the most expensive thing in the menu and order too much food, simply because you know you can. I was just about to rant about how some bloggers abuse this privilege and it's quite disappointing for us readers that they don't write objectively anymore! Animetric wrote a great blog post called "You're a blogger.. so what?".. and she discussed some of her experiences with me during a dinner event at Yabu.. it's amazing how many bloggers feel so entitled, simply because they are "bloggers". like it's a high and mighty title hehe..
haha! I hope you get your ramen fix soon! I do agree on the freebies part. As much as possible, I'd like to pay for what I eat even at invites. :) Also, disclaimers are also very important since, for all we know, invited bloggers might get a more special treatment compared to regular customers. Allen, I forgot to mention that it was actually Jill (The Food Scout) that told me to order it! 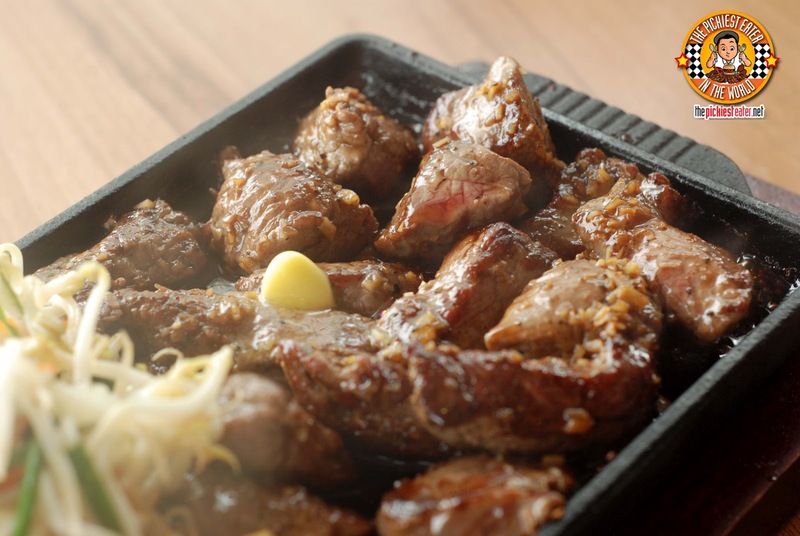 Oh my god, that beef teppanyaki looks incredible! I can almost smell it and hear the sizzle just by looking at the pictures. You should try it! Did you blog about it na? Please share your blog link here! 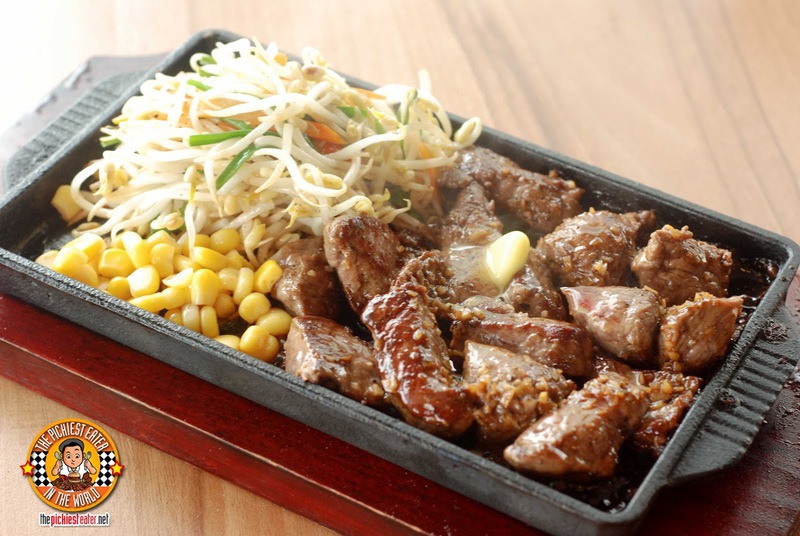 That Beef Teppanyaki is such a beautiful sight! sigh! You got me craving! Those are lovely, yummy photos. Thanks for the post! For more information, like us on Facebook. Thanks for the awesome meal! Ack! I love Kokoryo! Stumbled into this restaurant by accident but was back the following day! I don't know how I feel eating ramen from someone who doesn't hate me. The animosity adds a certain umami to the soup. Haha I totally get ya! 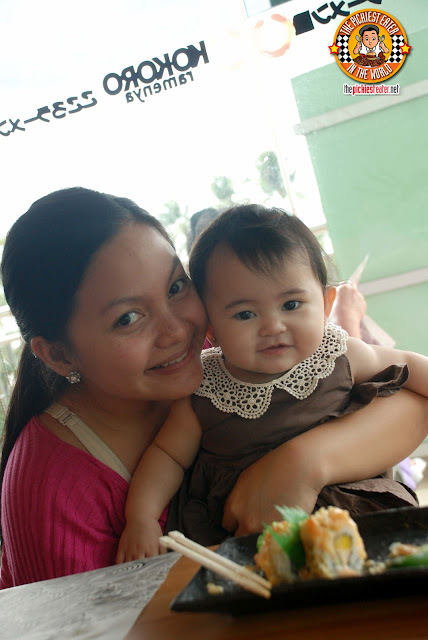 Super Cute and Pretty ni Baby! i'm salivating over your beef teppanyaki, beef+butter+garlic=love!!! too bad i won't be in that area anytime soon!